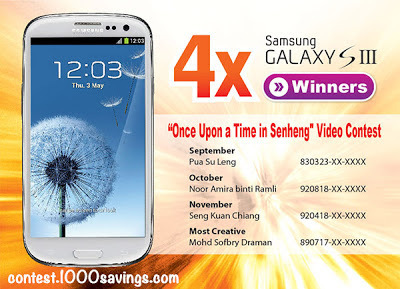 This is the winner list of "Once Upon A Time in Senheng" Video Contest. Congratulations to all the winners for winning Samsung Galaxy S3! 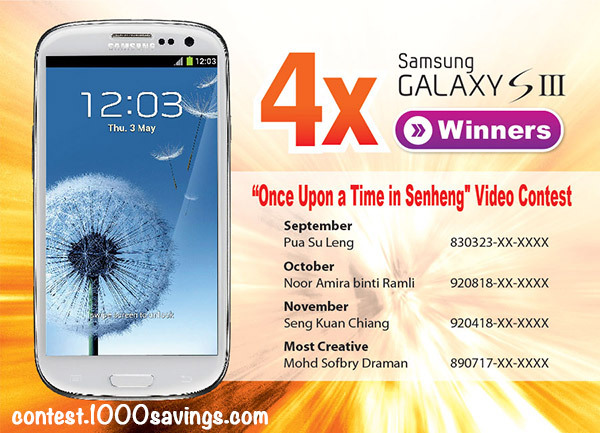 Click here to view the detail of "Once Upon A Time in Senheng" Video Contest. Join the Qatar Airway contest & stand a chance to win a pair of Economy class tickets to your dreams destination!